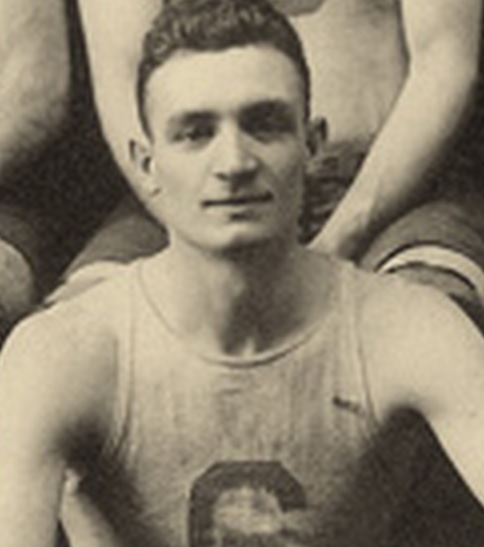 Soup Campbell was one of pro basketball’s top offensive stars in the early 1920s. Campbell was a fine set shooter, but speed and agility were the keys to his game. He was considered one of the best of the “two-handed dribblers” of the era. Campbell’s greatest success came early in his pro basketball career. In his first full pro season, he led the Camden Skeeters to the Eastern League championship and was the league’s leading scorer. He won two more EBL scoring titles in 1922 and 1923. He starred in the Metropolitan League for three seasons before he joined the American Basketball League in 1925. Campbell played for five ABL teams during the next four seasons. During the later years of his career, Campbell was no longer among the top echelon of scorers, but remained valuable as a floor leader and strategist. James Francis Campbell Born: Dec24, 1897 Died: March 4, 1942 Hometown: Homestead, Pa.